SCG News Archives - Make Coffee You Love! 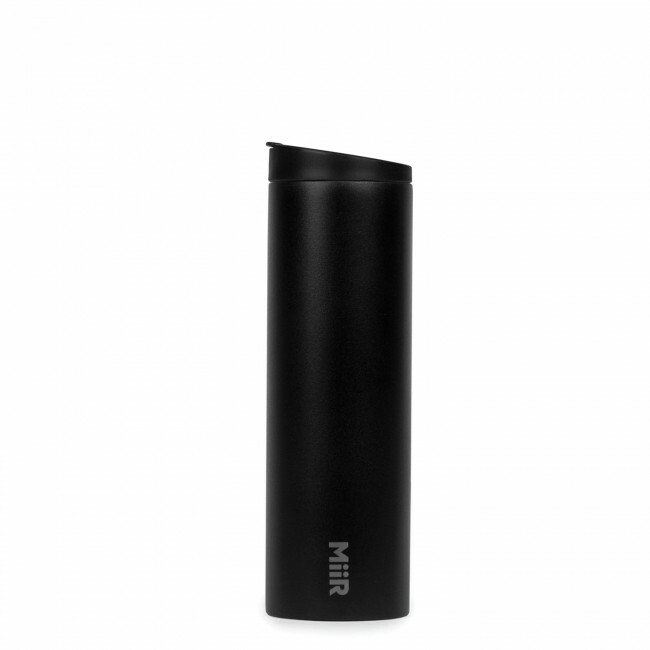 New Product: Miir Travel Mugs! Taking coffee on the go is a constant struggle. There are thousands of different travel mugs out there, but that won't stop us from hunting for the best one! This week we're excited to introduce Miir Travel Mugs to our catalog of drinkware! Miir mugs are simple and effective. These mugs use vacuum sealing double walls to preserve temperature whether hot or cold. They also come with things you'd expect like a non spill spout and ergonomic design. We appreciate that these mugs keep things like ice cube and cupholder compatibility in mind. There's more though! The Miir mug uses medical grade stainless steel that is durable and long lasting, but doesn't impart any flavors. On top of this, the whole container is BPA free. This means nothing will make its way into your coffee when you use it with this mug. Finally, this mug is dishwasher safe and is available in multiple sizes! Check out Miir for yourself here! This entry was posted in Gear Guides, SCG News on April 24, 2019 by Pat Cotter. It's that time once again for yet another video round up here at the SCG Blog! This week we've got another classic from Clementine, commercial goodness from John, and a good ol' fashion Crew Review from everyone's favorite coffee expert! First up, John gave us a look at the Bunn ICB Infusion brewer. Next, Gail took a look at the brand new Miele CM5300! And last but certainly not least, Clementine offered up a spicy AeroPress brew to round things out! This entry was posted in SCG News on April 19, 2019 by Pat Cotter. This entry was posted in SCG News on March 22, 2019 by Pat Cotter. Welcome to yet another video roundup. We've had some fun this week over on our YouTube, so let's jump in! First, Allie gave us some descaling tips on the Breville Barista Express! Next up, Gail gave us a look at the Atom 75. Finally, Clementine explored the Rooibos Espresso Latte in a new Coffee Collaboration! That's all for now! Go enjoy some coffee you love! This entry was posted in SCG News on March 8, 2019 by Pat Cotter. Welcome to another fabulous video roundup at Seattle Coffee Gear! We're back with a week of great video content! Next up Gail also gave us a Crew Review of the Technivorm Moccamaster! Last but certainly not least, the newest Coffee Collaboration from Clementine! We hope you enjoy! Check back next week for more great video content! This entry was posted in SCG News on February 22, 2019 by Pat Cotter. This entry was posted in SCG News on February 15, 2019 by Pat Cotter. This entry was posted in SCG News on January 18, 2019 by Pat Cotter.